Welcome ROAD iD back to #RunChat! This week’s #RunChat - 8 p.m. ET Sunday, April 14 - welcomes back our longtime friends at ROAD iD as a sponsor! As part of this week’s chat, we will have three chances for you to win a gift card so you can get yourself a new ID band to wear on your runs, or perhaps, get your friends and family one! The first way is to retweet the tweet below by 7:55 p.m. ET Sunday, April 14 AND answering at least one question during #RunChat. A winner from this option will be chosen at random and announced in the final 5 minutes of #RunChat. Enter once per tweet handle through this method. (So yes, this and the retweet count as two entries!) Tweets must be posted by 7:55 p.m. ET Sunday, April 14. You must also answer at least one question during the chat to be fully eligible. One winner from this method will also be chosen at random and announced in the final few minutes of #RunChat. Retweets and favoriting of tweets do not increase your chances of winning. The final way to enter? Just show up to #RunChat and answer at least one question - one additional winner will be chosen at random in the hour! You could use that gift card on a new Sidekick ID that attached to your Fitbit or Garmin watch. 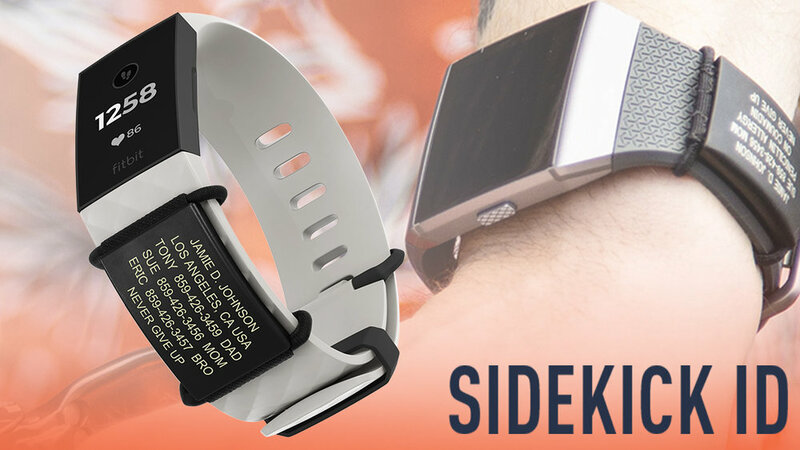 The all-new Sidekick ID seamlessly attaches to any smartwatch or fitness device. Fitbit Charge, Fitbit Versa, Garmin Fenix, Garmin Forerunner, you name it—if it has a strap, the Sidekick will work. Keep your info on hand and one less thing on your wrist. Older PostWelcome the Greenbrier Half Marathon to #RunChat!